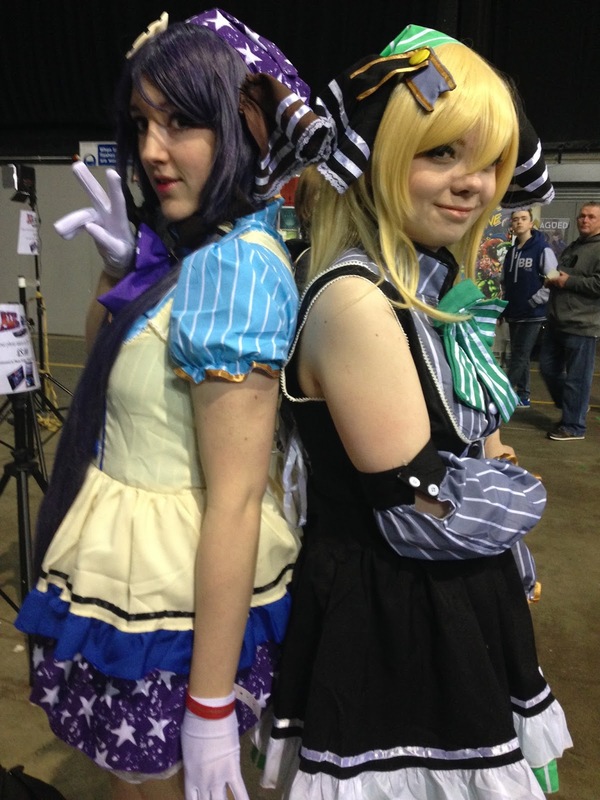 Comic Con in Newcastle this weekend was a triumph of style over content. 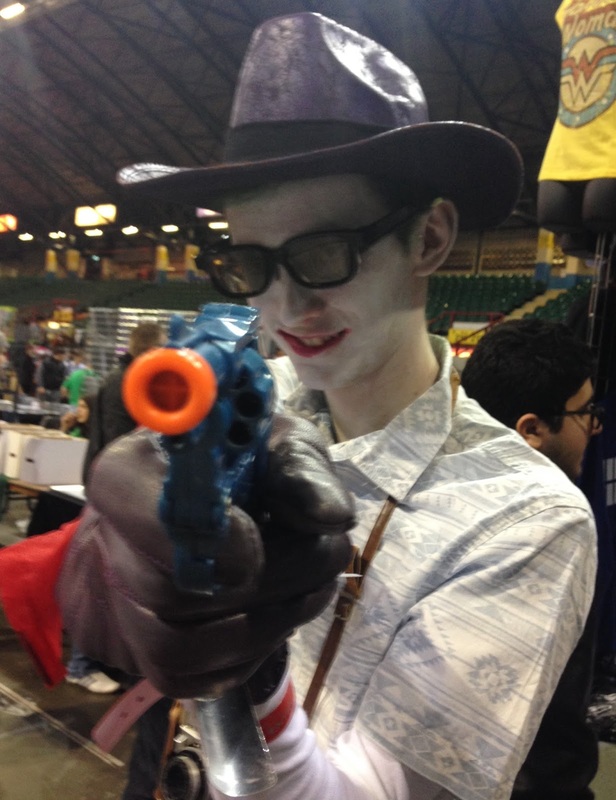 What was essentially a giant merchandising market in the grey vault of the Metro Radio Arena space, was brought to vibrant life by the colourful Comic Convention customers who had come to celebrate their favourite characters in style. With a marginally above average amount of knowledge about our comic book culture, I was familiar with Batman, most of his villains, the Marvel comic characters, Star Wars, Doctor Who and the Manga Anime folk. I was not prepared however, for the huge takeover of the computer game characters from Fallout, Sacrum, World of Warcraft, Call of Duty and the like. I hadn’t the faintest idea of their identity. Consequently I did spend quite a bit of time approaching people dressed in an outrageous manner and asking them who they were. 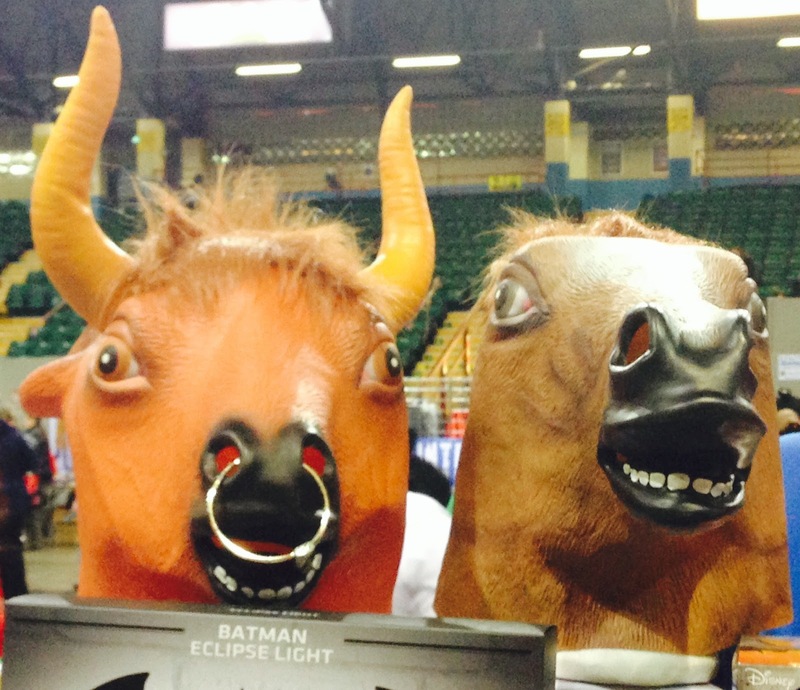 It was sometimes difficult to tell what they said because of the scary masks they were wearing. I had to ask Bane three times who he was. He was a terrible mumbler. Which planet are you from again? Funnily enough no one was dressed as Dennis the Menace or Mini the Minx (too old school) and my brother was very disappointed not to see a Giant Cactuar (which is an energetic cactus character) from the Final Fantasy role playing games. I concluded that there is a tendency for the geeks to want to be action super heroes and formidable adversaries, because it is perhaps the furthest from their real life experience. In a good way of course. There was a lot of cross comic friendliness which I was pleased to see. Spider man asking for a photo of the Joker, that sort of thing. The visitors to Comic Con had put considerable effort into their outfits. It was great fun to see, and some of the most elaborate costumes were homemade. 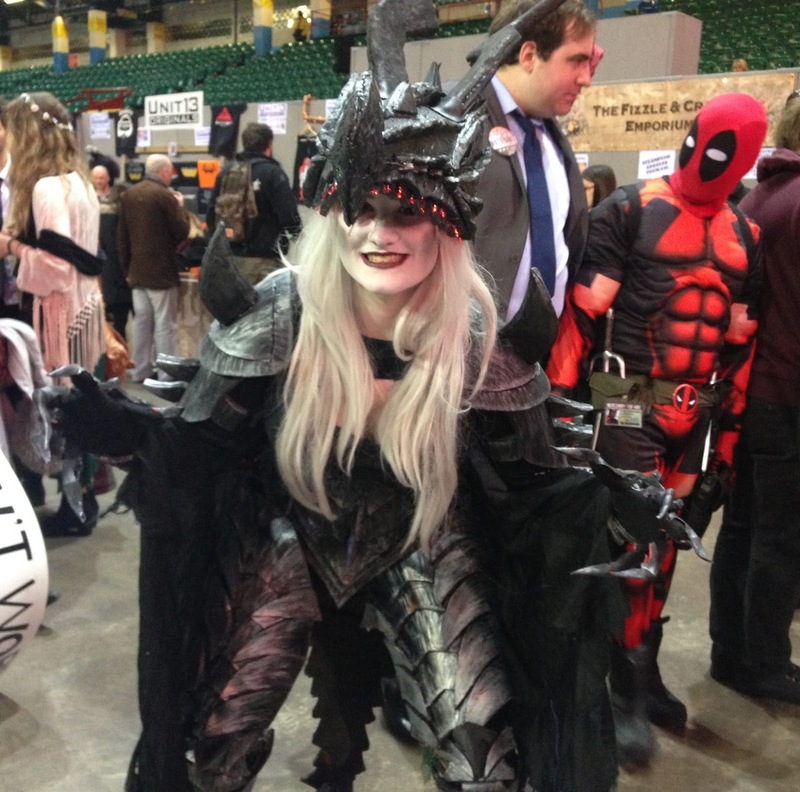 One girl had an amazing Dragon costume with glowing red teeth and a huge horned head dress. She had constructed the entire thing herself and it was awesome. ‘Who are you?’ I asked, cutting through the chit chat. ‘Heather.’ She said. Wasn’t quite what I meant. The stalls had some interesting stuff on them. Lots of t shirts, masks, models, toys, jewellery and some rather good original illustrations. 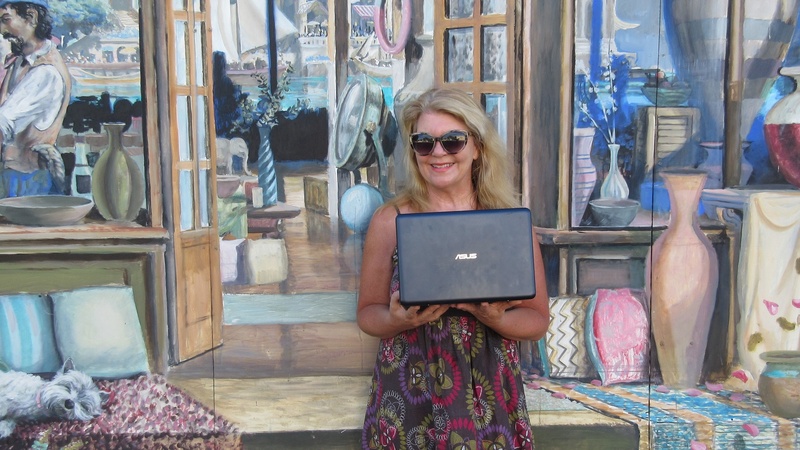 You could have your picture taken in front of a green screen and have an action background superimposed. Maybe a huge explosion or the landscape of an alien planet. The resulting photos looked pretty cool. You could sit in a model of the time machine car from Back to the Future or on the Emperor Palpatine’s throne (Star Wars) Or you could go to some comic related talks. I think we missed all the comic related talks so I can’t say much about them. There were also some appearances from minor characters from Game of Thrones, Colin Baker from Doctor Who and few Ewoks. An autograph from an Ewok? Worth fifteen pounds of anybody’s money. Jade from Gateshead was dressed as Asuna from ‘Sword Art Online.’ Luke and Chris from Washington were sporting full quivers and were being Arsenal (thought that was a football team?) who turns into the Arrow and the Green Arrow respectively. I think one is a side kick of the other one. Someone will correct me I’m sure if I’m wrong. Another arrow toting character was Hawkeye ‘with a Scottish twist’ who was wearing his family’s Sutherland tartan kilt – a fine piece of menswear. He said it was the most expensive piece of clothing he owned and it was certainly something I’d consider wearing myself outside of Comic Con with perhaps a nice black jumper. 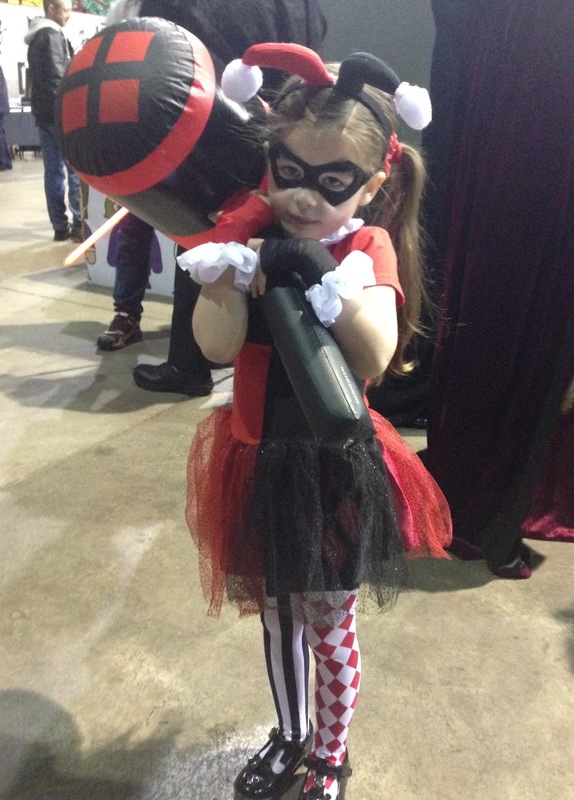 Harley Quinn is a quite a glamorous female cartoon character and there were quite a few girls dressed as her that day including Tilly a very cute six year old indeed. Also a large rather overweight man was a cross dressing version of Harley Quinn. ‘Alternative’ he described himself as. 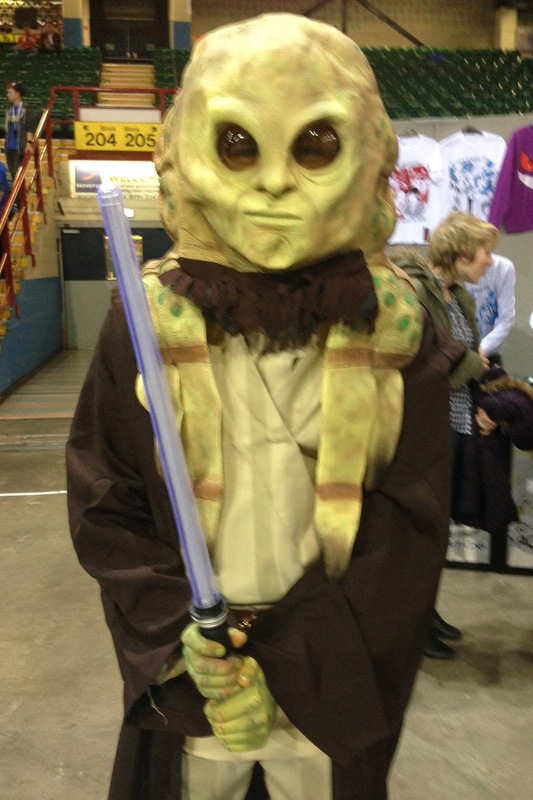 Micheal from Middlesbrough was being Kit Fitso from Star Wars, a large green alien in the classic mode. He said it had taken him an hour that morning to perfect his green hands with contrasting green spots. They were awfully good. I very much enjoyed Comic Con. It was really because of the fans rather than the event itself however. It was nice to see this sub culture celebrated and lots of young people emerging from behind the screens of doom we all live in front of now, and emerge temporarily into the real world transformed into fabulous fantasy characters created by the human imagination. 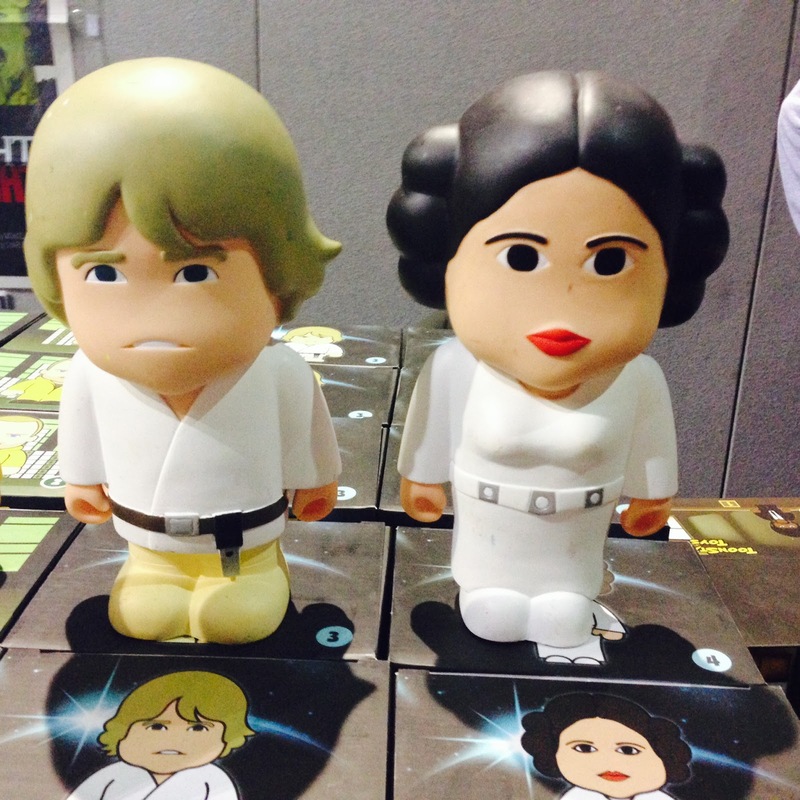 Comic Con UK tours the country so check out their website to see when it’s in your city next.